I will cite my own example. I qualified as trainer in the year 2010 from Jaycees. I had no idea how to make a presentation, decide the flow and what topics to choose. I really looked for help but could not get satisfied support. I promised myself i will find solutions for myself and learn the ins and outs of training. I searched in Google, checked presentations, read articles, learned the flow and now i can make my own stuffs without depending on others except my best friend Google for help. We have got access to all types of data, it is upon us to train our brain to process data and think more logically than any ordinary person and grab it at the earliest. 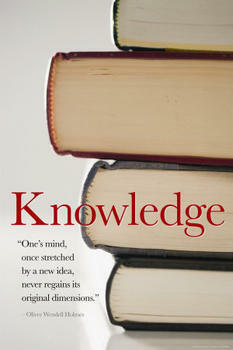 We should have the ability to think of some innovative ideas to take our knowledge to the next level. A level which no one thought of or has access to . It is all upon us to dig and find all that creative energy which is trapped in us and is waiting to get disclosed. I never knew how to write articles till one day i developed a passion for writing and just started blogging. Today i am expert author for Ezine Articles, Articles Factory and other websites. If we have the passion to do something let us all dig deep and give shape to all our creative energies and create a wonderful world of our dreams and thoughts. My husband Vinay Yadav really helped me a lot in digging knowledge. When ever i had problems i would ask him for help and he used to help me. One day he advised me to dig and help myself, that is the last day i asked him for help. Now i search stuffs myself and discuss with him for better learning. Knowledge digging really helps a lot. If no one is ready to help ,you dig and help yourself and show the other person that knowledge is not the property of a single person. It is accessible to all in equal quantities, it is upon us to decide the path of our destiny by picking the right stuff.